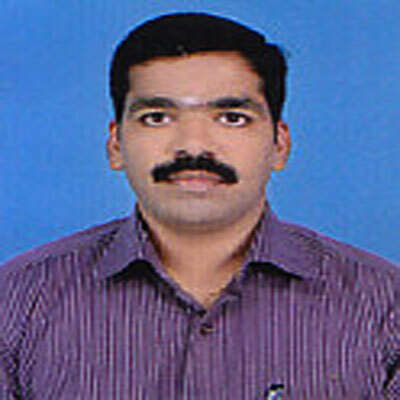 Kannan, K.P., N.K.U. Prakash, D. Madhankumar, R. Muthezhilan, G. Jamuna, N. Parathasarathy and S. Bhuvaneswari, 2011. Fungal Endophytes: A preliminary report from marketed flowers. Int. J. Applied Biol., 2: 63-66. Aruna, P., R. Muthezhilan, K.H. Smila and M. Govindaraju, 2011. A study on the effect of fly ash on the growth response of Helianthus annus (Sunflower). Int. J. Applied Biol., 2: 44-49. Senthil Balan, R., R. Muthezhilan, R.L. Narayanan and S. Jayalakshmi, 2010. Screening and optimization of urease production by estuarine strain of Aspergillus niger. Global J. Biotechnol. Biochem., 5: 36-40. Jayaprakashvel, M., R. Muthezhilan, R. Srinivasan, A.J. Hussain and S. Gobalakrishnan et al., 2010. Hydrogen cyanide mediated biocontrol potential of Pseudomonas sp. AMET 1055 isolated from the rhizosphere of coastal and dune vegetation. J. Adv. Biotechnol., 9: 39-42. Muthezhilan, R., N. Yogananth, S. Vidhya and S. Jayalakshmi, 2008. Dye degrading mycoflora from industrial effluents. Res. J. Microbiol., 3: 204-208. Muthezhilan, R., A. Newtonraja, D. Abirami and S. Jayalakshmi, 2008. Pectinase from an estuarine strain of Aspergillus fumigatus. Res. J. Biol. Sci., 1: 64-70. Muthezhilan, R., R. Ashok and S. Jayalakshmi, 2007. Production and optimization of thermostable alkaline xylanase by Penicillium oxalicum in solid state fermentation. Afr. J. Microbiol. Res., 1: 20-28.